Grethel Lynn Jahncke, age 72, died Friday, January 25, 2019 at Beaumont Hospital Trenton. Grethel was born May 28, 1946 in Pike County, Kentucky, the daughter of William and Phyllis (Roberts) Elkins. On June 2, 1962, she married her only love, Ronald F. Jahncke at St. John the Baptist Catholic Church in Ypsilanti. Survivors include six adult children, Mary Spitler of Garden City, Anna (Gary) Wood of Ypsilanti, Ronald (Bonnie Bennett) Jahncke II, of Romulus, Carol (Joe Echols) Jahncke of Westland, Grethel Jahncke of Romulus and Phyllis (Robert) Gorman of Ypsilanti; fourteen grandchildren, David Wood, Dallas Jahncke Jr., Jesse Jahncke, Ashley (Ricky) Wauschek, Austin Spitler, Emily Echols, Jacob Echols, Joey Echols, Nikki Daubresse, Adam Spitler, Crystal Daubresse, Megan Jahncke, AJ Gorman and Courtney Gorman. Seven great grandchildren, Angel Jahncke, Trace Jahncke, Waylon Jahncke, Aubree Spitler, Kryssa Jahncke, Abbygail Wauschek, Ayden Wauschek. 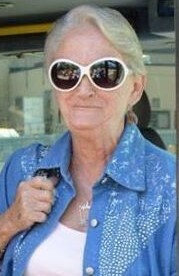 Grethel was preceded in death by her husband Ronald Jahncke, one son Dallas Jahncke, one grandson Casey Jahncke, two sisters Geneva (Elkins) King, Marlene (McCoy) Cassidy, her mother Phyllis (Roberts) Elkins, and her father William Elkins. Cremation has taken place – A Celebration of Life will be held at a later date.